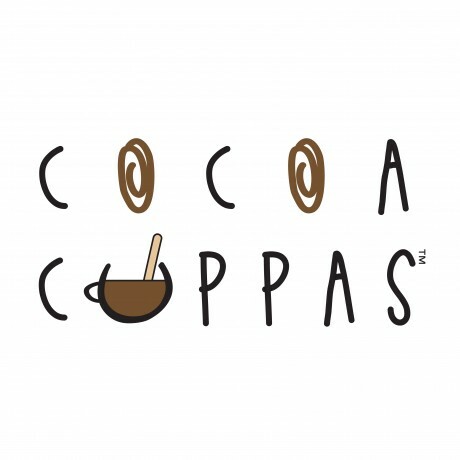 4 delicious hot chocolate Cocoa Cuppa handmade by Chocovert. 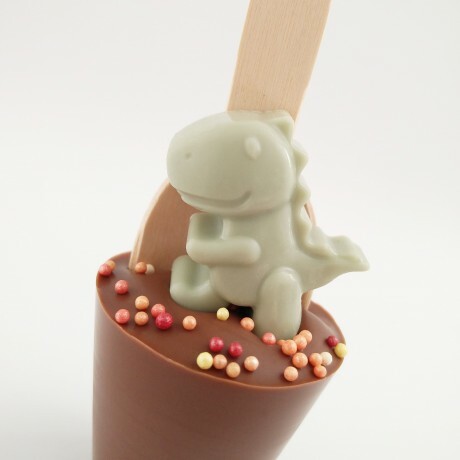 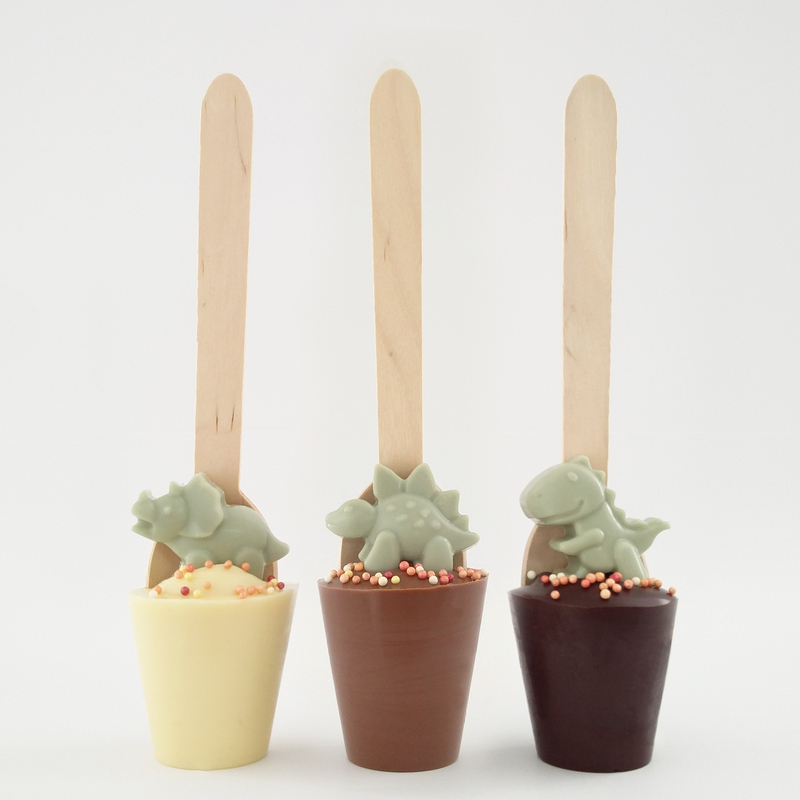 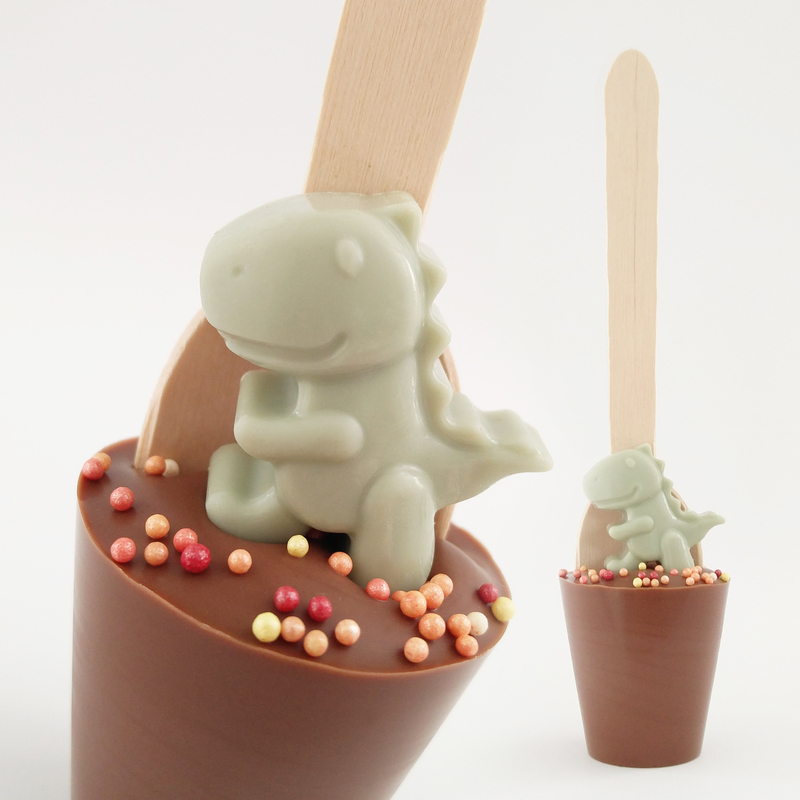 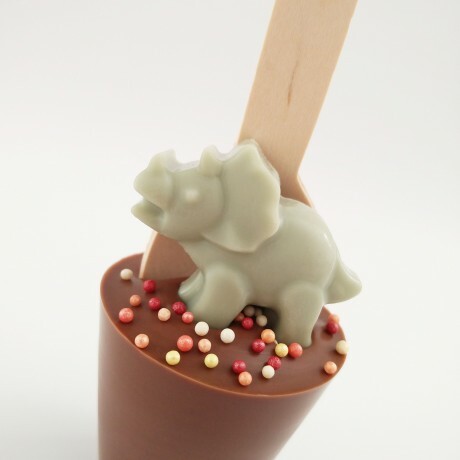 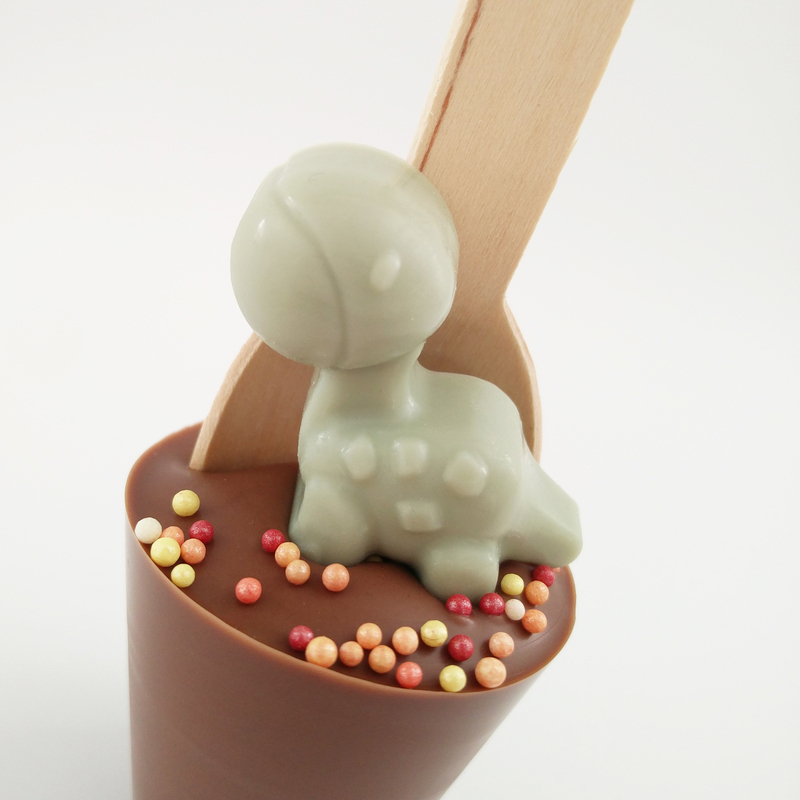 Each stirrer is topped with a green white chocolate dinosaur (designs vary) with lava coloured sugar sprinkles. 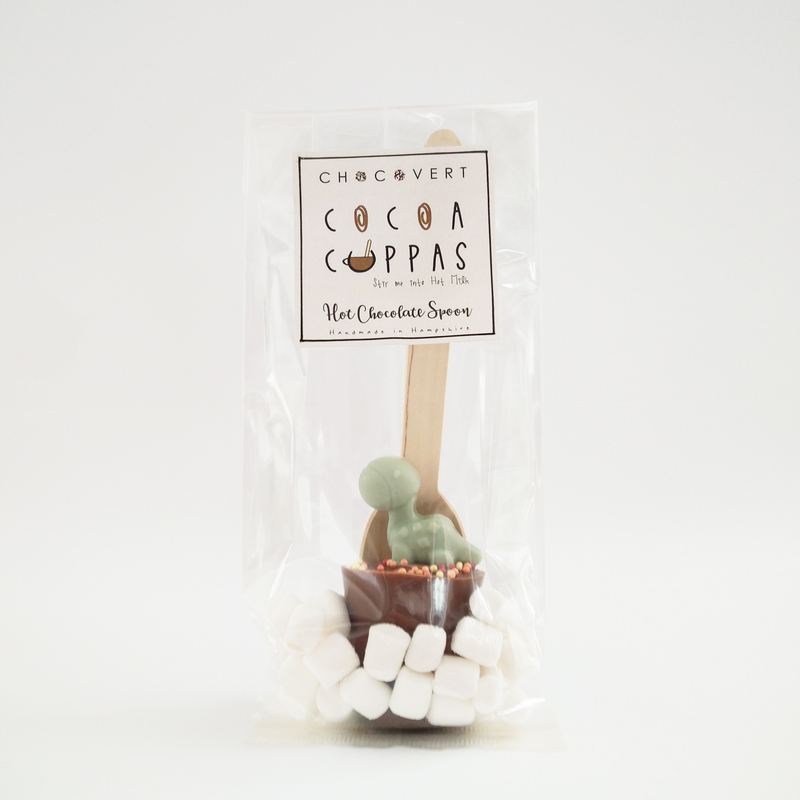 Made with Belgium chocolate each stirrer has the perfect amount of chocolate to create that perfect mug of hot yumminess! 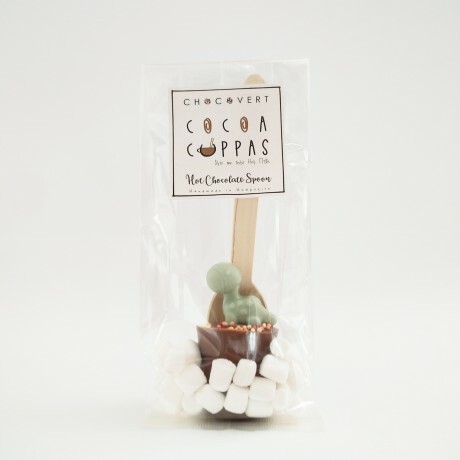 Drop and stir the spoon into a mug of warm milk, top with the provided mini marshmallows and watch the chocolate melt, turning the milk into a cuppa cocoa goodness! Mini Mallows (Glucose syrup, sugar, dextrose, water, stabiliser, sorbitol, gelatine, flavouring) Sprinkles (sugar, wheat starch, confectioners glaze, carnauba wax), cocoa butter.